The great thing about Martial Arts is it's diverse, culturally, in its practice and in its traditions. There will always be some form of Martial Art that resonates most with you and that's what makes it really accessible for adults as well as children. Some Martial Arts styles are incredibly unique. Many styles share similar components, but some are just one-of-a-kind. One that ticks this box is Capoeira. 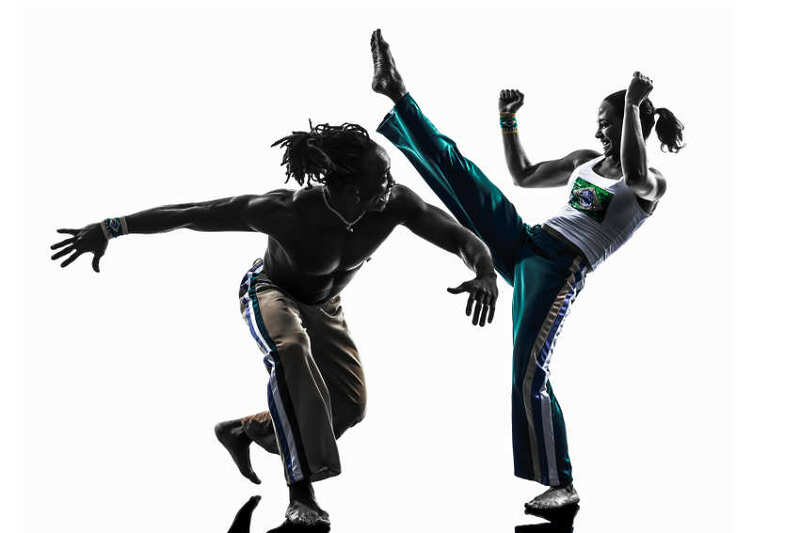 Capoeira is essentially Brazilian dance fighting. It combines elements of fighting, acrobatics, dance and music into a performance art. To many it is a 'game' more so than a 'fight'. Capoeira was created around 500 years ago in Brazil by African Slaves. Because they felt vulnerable as slaves, they took to learning new ways of fighting as self-defence. However, they had to keep this learning secretive, so practiced to music and disguised it as dancing for entertainment. Initially, this was considered illegal and many arrests were made, but eventually the Brazilian authorities were convinced of its cultural significance. Mestre Bimba opened the first Capoeira school in 1932 and it became an official martial art. It's now achieved global popularity and takes strong influence from a variety of dance styles such as hip hop. What are the benefits of learning Capoeira? Capoeira comes with many health benefits. With Capoeira classes more focused on skill than what your opponent is doing, it's a great way to become more aware of your body and what is going on around you. It also helps to develop flexibility, balance and co-ordination. Learning Capoeira also requires a lot of upper body movement, for example headstands and rolls. These movements will build up strength in the shoulders, arms and chest. Like any form of dance, or martial art for that matter, Capoeira is non-stop. It is about flow and continual movement. This means that it requires stamina and endurance, both cardiovascular and muscular. It requires lots of co-ordination of your own body and with the other person as well. It also requires speed. You'll need quick reactions to work with the group and make a good routine. This will help to increase agility and reactions. Capoeira can also help reduce stress. The fluid movements and sound track can help relax the body and mind. You can loosen up and just move to the music and after the class, you'll feel re-energised and vibrant. Capoeira has grown in popularity over the years, partly due to its exposure in popular culture. It often appears in films and TV and with the increase in video sharing, more people are watching it. That means there is a greater demand for classes and that's where Martial Arts Near You can help. Martial Arts Near You has Martial Arts classes all across the USA including Capoeira and you can find one easily. Whether you are looking for a beginner's Capoeira class or something more advanced, you can download the 'NearYou' iPhone App and search your location to find local Martial Arts Instructors. Once you've found one, you can easily contact them to find out more about joining.